The Conservative Party will prioritise a review of the business rates tax on fibre networks if it comes to power. 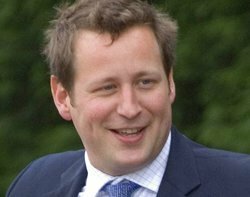 Shadow arts minister Ed Vaizey (pictured) told an international conference on dark fibre: "Labour's policy on business rates tax has caused huge damage to telecoms in the UK." Computer Weekly has exposed the extent of government plans to tax next generation networks. Ed Vaizey said the business rates regime - which dates from 1601 - was "an active disincentive to competitive, next-generation access roll-out". He said responsibility for the rates had been shared by too many government departments: the Valuation Office Agency (VOA); the Treasury; the department of communities and local government (DCLG) which owned rating policy; and the department of business, innovation and skills, which owned the communications aspects. "No-one's prepared to take responsibility for the whole picture," he said. "We see policy shared between a bewildering array of government bodies and quangos. This is something I intend to fix." Vaizey also referred to VOA proposals to tax wi-fi and Wimax networks. "No matter that the VOA claims that this is just an extension of the existing policy - it's still damaging," he said. He also said the party did not support the government's plan for a 50p per month tax on fixed telephone lines. "As Charles Dunstone of Talk Talk has pointed out, the government's scheme is 'likely to delay next generation broadband roll-out in rural areas rather than hasten it as private investors will wait for public funds to be made available'," he said. Vaizey said the Tories were looking for investment by everyone - not just BT. "This means that BT's network should be opened up for others to run fibre. We will not be tied to a particular technology - copper, fibre or wireless. Competition in liberalised markets is the best way to stimulate investment," he said. "Instead of a new regressive tax which will hit those on low incomes the hardest, we think the market should play the central role in delivering next generation broadband. But government, and the regulator, play a crucial part as enablers." Vaizey said the UK had led the way in liberalising telecoms markets in 1984. "We were pioneers in mobile networks in the 80s and 90s. Our thinking shaped European policy. We exported our ideas; and our companies became world leaders as well. "The bad news is that this legacy of leadership is now being squandered," he said. Vaizey said it was clear that competition drove investment in telecommunications, but that government policy and regulation played a key role in market outcomes. "The key policy challenge is therefore to develop a liberalised, regulatory environment where investment is genuinely open to all - not just BT," he said. Vaizey noted that the availability of dark fibre was crucial to the roll-out of superfast broadband to subscribers, but also as a "middle-mile" enabler for next generation access networks to provide backhaul from sub-loop cabinets and for mobile data networks. "We want Ofcom do a full review of how dark fibre can be delivered to the market," he said. Vaizey said he was looking forward to hearing about Openreach's plans to make dark fibre available to end users and middle-mile suppliers. He said the Conservative Party had already said that others apart from BT should have the opportunity to put fibre in BT ducts. He noted network operators in France and Portugal already had access to the former national telcos' ducts. "We're looking for Openreach to step forward and offer something really compelling," he said. He also called for utilities to co-operate so that, when roads were dug up, they would install next generation telecoms infrastructure as a matter of course. He said local-loop unbundling could support deep network competition in next-generation access. "It might need dark fibre backhaul to support it. But there might be a need for innovative solutions such as access to racks or shelves within cabinets or even direct access to DSL (digital subscriber loop) card management," he said. Vaizey also gave his support to the work of the Broadband Stakeholder Group and the Community Broadband Network on operational support systems (OSS). These are the IT systems that provide the essential underpinning for access networks and, crucially, the customer experience. "In a world with multiple NGA investors, we need to find an efficient OSS solution," he said.